No, you do not need surgery to repair a torn Achilles. 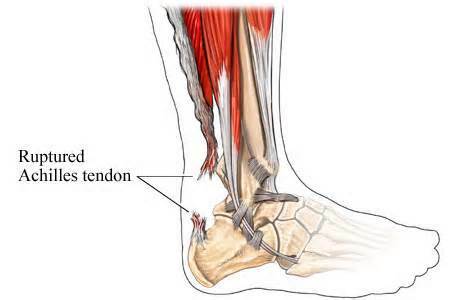 There is a new technology that injects cryopreserved amniotic fluid into the injured area to help heal these partial Achilles tendon tears and heal a full tear faster. The amniotic fluid is rich in proteins and stem cells, which are needed for the tissue repair. These amniotic cells come from highly screened individuals, so, it is rare to get an allergic reaction or a transmission of a communicable disease from the donor. Studies show, 18 of the 19 patients in the study reached successful wound closure with 100% improvement regardless of wound origin (Applied Biologics, 2004). To further elaborate on the safety of this treatment, our doctors have used these cells and received excellent results. Another treatment option is a brace. After you’re in a cast for about 4-6 weeks, an air stirrup brace or lace-up ankle support is beneficial to the healing process. Call to make an appointment with one of our podiatrists to help eliminate your foot pain today!